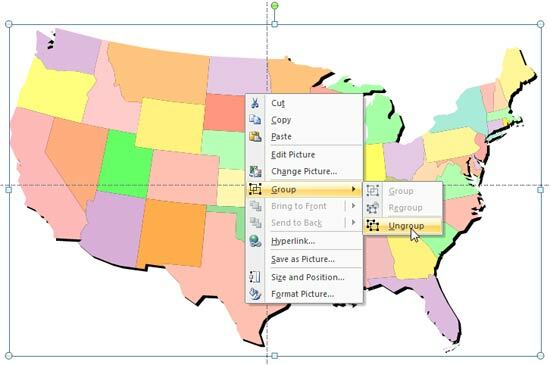 Learn how to ungroup a map in PowerPoint 2007 and 2010. In a previous tutorial I showed you how to download vector map files from the Microsoft Office website. In this tutorial you'll learn how to ungroup these files. 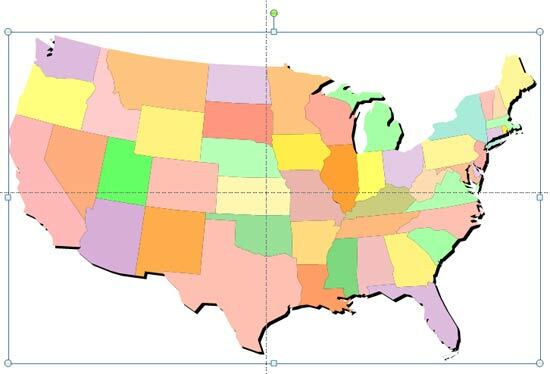 Our example looks at a map of the United States of America that also shows each individual state -- your map may be different but the principles explained below will be useful. 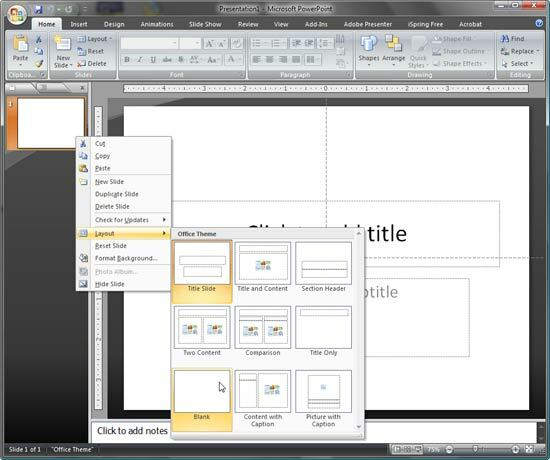 Open PowerPoint 2007, right-click an empty area on the slide and choose Layout | Blank in the resultant context menu to change the layout to Blank as shown in Figure 1. Now just drag and drop the map file that you downloaded in the preceding tutorial on the slide (see Figure 2). Right-click on the placed file to get the menu as shown in Figure 3. From the menu choose Group | Ungroup. This opens a dialog box asking "Do you want to convert the imported picture to a Microsoft Office drawing object?" (see Figure 4). Repeat the third step again and choose Group | Ungroup again to ungroup the file completely. 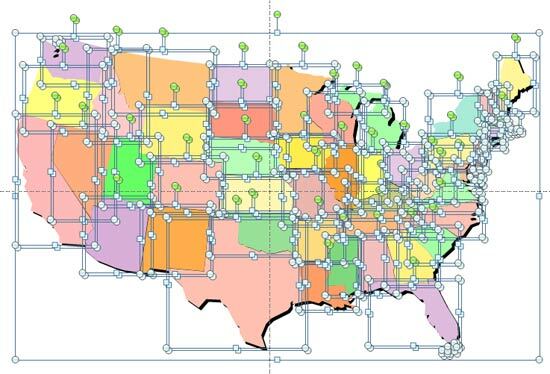 Figure 5 shows the completely ungrouped map. Each ungrouped component can now be individually animated or used as required -- some extra areas such as shadows, etc. can be selected and deleted if not required. If you want a slide with individual US states rightaway, just download this file. Tip: Learn how you can add fills, outlines, and effects to individual shapes -- and also how you can add animation.